Bone glue and bone cement are two products used to fix the fractured or broken bones. Currently, the bone cement segment is churning maximum demand in the global market. This is due to rise in cases of osteoporosis and increase in number of arthroplasty treatments all over the world. Nevertheless, in coming years, the bone glue segment is anticipated to witness a faster rise in demand as compared to bone cement segment due to rise in cases of orthopedic surgeries and fractures. Bone cement is also known as polymethyl methacrylate (PMMA). It is used widely in in various trauma surgery and orthopedic treatments. On the other hand, bone glue is used to replace small plates and screws that hold different bone fragments together in one place for some time so that the breaking is healed. The increase in number of old age people, sport injuries, and increased road accidents due to excessive traffic, and trauma cases are some of the factors fueling the rise in demand for global bone cement and glue market. Besides, advancements in degenerative medicines is another factor influencing the market growth. On the flip side, dearth of proper imbursement policies and increased cost of bone glue or bone cement is anticipated to hinder the development of bine cement and glue market. Besides, a detailed clinical data is needed to develop new product. This factor can also obstruct market growth in coming years. The two products bone cement and bone glue are meant to fasten broken or fractured bones together. At present, the bone cement segment is generating maximum demand in the market, finds our report published in TMR Research. This is because of the increasing occurrence of osteoporosis and growing number of arthroplasty procedures being carried out worldwide. However, going forward, the bone glue is expected to see its demand and sales rise faster than bone cement because of the growing number of fractures and orthopedic surgeries. Bone cement is also known as polymethyl methacrylate (PMMA) and finds widespread application in different orthopedic and trauma surgery. Bone glue on the other hand is used to supplant tiny screws and plates meant to hold fragments in place for enough time for the healing of the break. The report predicts that robust competition in the market will be fanned by players wanting a greater share of the pie through the launch of innovative products with effective functionalities. To that end, they are seen pulling out all stops to comply with industry regulations and various government policies. 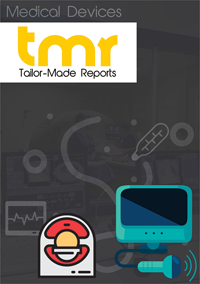 Majorly fuelling the global bone cement and glue market is the rising number of sport injuries, growing pool of elderly, and the increasing number of road accidents and trauma cases. Apart from that, developments in regenerative medicine is also positively influencing the market. However, on the downside, lack of proper reimbursement policies and high cost of bone cement or glue is posing a challenge to the growth in the market. Apart from that, exhaustive clinical data needed to designing new products is also another drawback. Depending upon end users, the global bone cement and glue market can be divided into ambulatory surgery centers, hospitals, and clinics and physician’s offices. Among them, the hospital segment is generating maximum demand and will likely continue doing so in the near future due to the increasing number of orthopedic surgeries conducted in hospitals and the building of hospitals or increasing capacities in existing ones in developing countries. The bone cement and glue market find application in arthroplasty, total hip arthroplasty, total knee arthroplasty, total shoulder arthroplasty, vertebroplasty, and kyphoplasty. Arthroplasty, among them, will likely hold the largest market share owing to the rising number of hip, knee, and shoulder injuries. From a geographical standpoint, Europe and North America dominate the global market for bone cement and glue because of the advanced healthcare facilities and presence of key players in the region. Vis-à-vis growth rate, on the other hand, Asia Pacific is expected to steal the show on account of the fast developing healthcare infrastructure, rising medical tourism, penetration of prominent international players, initiatives by authorities to promote sports, and the growing pool of elderly in the region. Some of the prominent participants in the global market for bone cement and glue are Zimmer Biomet, Stryker, DePuy Synthes, Arthrex, DJO Global, Smith & Nephew, Exactech, Trimph, Heraeus Medical, CryoLife, TEKNIMED, and Cardinal Health. The report tracks their key products, sales and revenues, and market shares. It also provides insights into the opportunities they can tap into and the pitfalls they need to avoid.